Teamwork for Children with Learning Differences - One Step At A Time! Since we find that play is the best way to practice teamwork, this article will be centered around building the best possible play atmosphere for kids whose learning difficulties are directly related to attention. 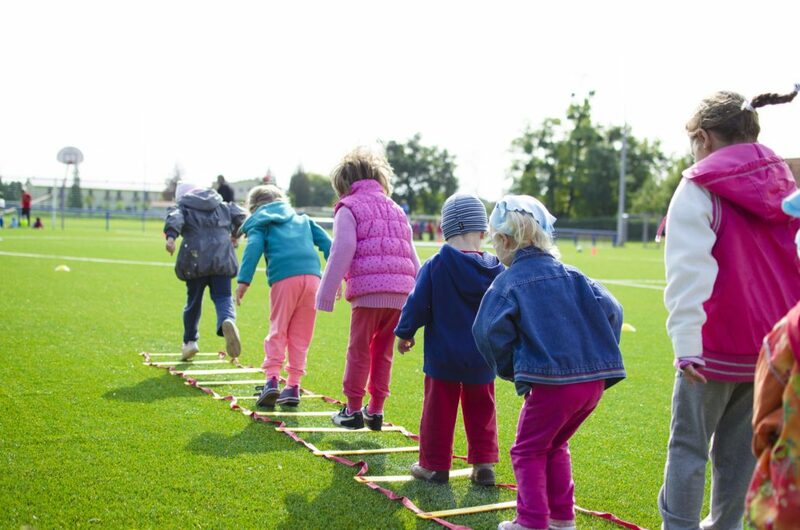 While promoting natural, spontaneous play is beneficial for most children, kids with learning differences tend to work better if they have a clear schedule in front of them. This serves to essentially “wire their brains” – it’s like putting up a flashing neon billboard inside their minds, which helps them focus more easily. So instead of simply gathering them together and telling them to play, you should create activities for them and act as a guide. Some children have trouble maintaining their attention on the task at hand, and one of the main reasons is that they lack the motivation to finish it. Quite simply, they don’t find it interesting enough, so they choose to move to a different, more interesting task, often leaving their teammates (in, say, a group practice during class) to deal with it alone; that, in turn, leads to other children starting to avoid teamwork with them. To help them with this during play, you can organize them into groups based on their interests. For example, you might ask each child what they want to be when they grow up. All those who choose the same profession can be put in a group together. Next, you can give them some questions to answer or tasks to complete based on this profession – that way, they’re more likely to remain motivated to persevere rather than switching to something else, all while practicing teamwork. Another challenge some kids might face is difficulty recognizing others’ feelings and thoughts. This can lead to misunderstandings, with other children viewing them as insensitive, not understanding their issues. To help solve this the best way possible, create games requiring acting or imitation. Charades would be a good example for this. It gives kids the chance to practice recognizing cues their teammates are giving them. Some themes you can create here are “emotions”, “chores”, “school activities”, etc. They can also imitate their own classmates – that way, they become familiar with how others act and what they mean by it. This also necessitates your instructions for a game be as clear and specific as possible – understanding you correctly means kids will be more likely to proceed with undivided attention. Another way to help them is to encourage the other children to verbalize their feelings more. This is actually a good practice for every child. Kids with learning differences want to play just as much as any child does, but if they keep feeling as though they’re doing something wrong without really understanding what that is, they’ll eventually choose to play on their own instead. That’s why other kids telling them things like “It makes me sad and angry when you take my ball because you want to play something else” can be beneficial – they’ll learn that everyone makes mistakes, but that some mistakes can be fixed; they can learn to talk to other children, understand their feelings, and practice choosing group activities together. Being a peer team coach can be a challenging task – sometimes it can take a lot of time and practice for their peers to be able to understand and help these children. And be careful not to put two children with learning differences in the same group, or you’re risking them just playing with each other and not the others, which, in the long run, doesn’t do much good for them. Any behavior that shows signs of cooperation should be rewarded; this way, children are more likely to continue doing what is expected of them in a group environment. The Reward can be as simple as praise – “good job!”. This makes a huge difference in their lives, as they become aware they’re doing something right, which gives them the motivation to continue doing so. Praise can come from you as well as their peers. You can ask each group to say one good thing about each of their playmates – what they like about them, if they think they’re especially good at something… This also strengthens the bonds of their newly-formed group and allows them to interact more easily. Green spaces are highly beneficial when it comes to our ability to focus. Our attention span isn’t infinite – once we reach our limit, it drops off. However, we can restore it by going to sleep or by practicing gently absorbing activities that draw on what is called involuntary attention. This type of attention is effortless and allows the brain to relax and, in a way, reboot. For example, listening to light music while working could be an example of a gently absorbing activity, as long as you are aware of the music, but not actually focused on it. Another thing that works as an outlet for involuntary attention is, again, nature, which helps the brain focus on the task at hand. In conclusion, it’s not easy to plan and organize teamwork practice for children with learning differences. It requires a lot of patience and not a small amount of creativity. Some rules need to be followed, while you try not to suffocate the kids too much. But if you use what we’ve mentioned above, they’ll be able to play more smoothly, and, eventually, they’ll internalize what you’ve been teaching them, and become able to participate in teamwork with less stress and more understanding. One important thing to remember is – it all happens one step at a time. If you want your child (with learning differences or without them) to get a great teamwork practice while learning about something that interests them and developing other 21st century skills, check out our online program based on the Project Based Learning approach, Nobel Explorers. Panksepp, J. (2007) Can PLAY Diminish ADHD and Facilitate the Construction of the Social Brain? Journal of the Canadian Academy of Child and Adolescent Psychiatry, 16(2), 57–66. If you need any kind of advice related to project-based learning, teamwork and learning differences of your children, you’ve come to the right place! Cultivating a Sense of Gratitude “New Year, New You” – the Nobel Way!